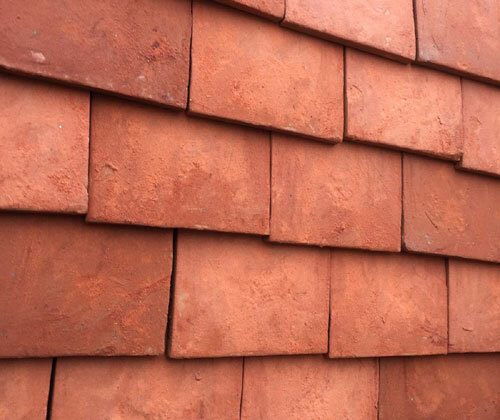 Introducing the Conservation range of handmade clay roof tiles. Available in two distinctive colours, created by using a very fine sand, The Conservation Weathered; A natural warm tone, achieving an instant mellow and settled look and The Conservation Red; perfect for vertical tiling especially suited for villages and hamlets with olde worlde vernacular charm. Manufactured using high quality clay, achieving high strength and durability properties, giving homeowners and contractors peace of mind for many years to come. The conservation range comes with a complete set of associated fittings, including Hog Back Ridge, Half Round Ridge, Bonnet Hips, Valley tiles and External Angles. 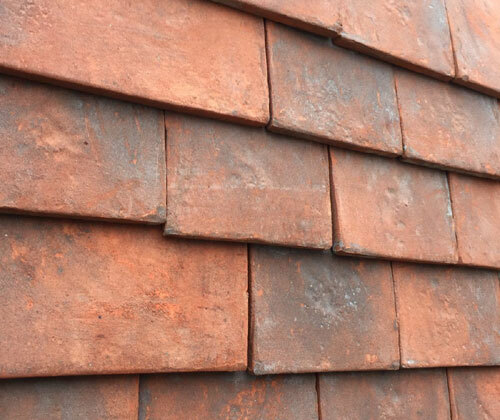 With Heritage Blends, a truly individual statement can be made by mixing colours to create a totally bespoke roof. Blended shades add that extra element of uniqueness, so imaginative designs and concepts can be incorporated to provide something that is a 'little bit special'.